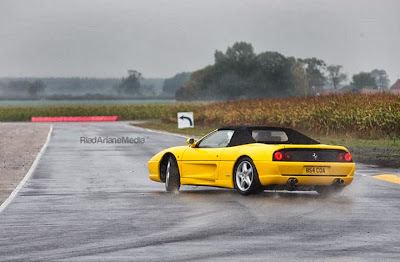 Powersliding a Ferrari must be great fun.. but doing it with an old school one is just something special! A wet track and a Ferrari F355, that's the right way to do it! To make it even better, the car is fitted with a catless Tubi exhaust, this configuration tells you how a proper Ferrari V8 engine sounds like!